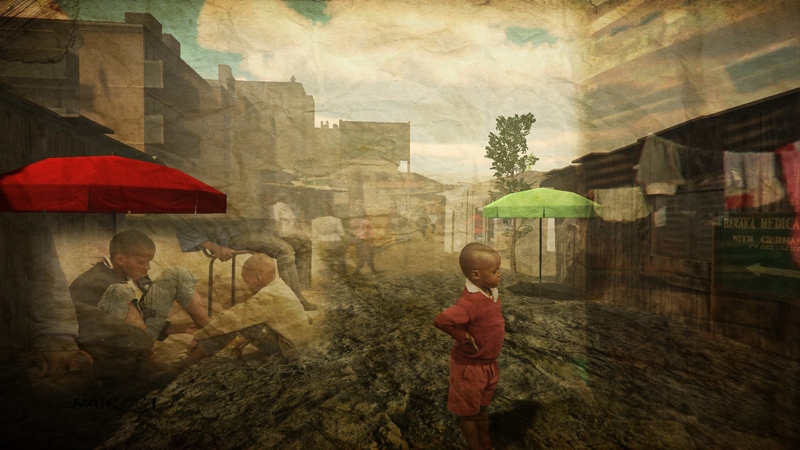 The documentary experience FROM DARKNESS (currently in alpha 0.6) takes you to the streets of Eastern Africa. Nairobi, the capital of Kenya, becomes the starting point of a compelling investigation exploring the lives of journalists, shop owners, community workers, and urban refugees. 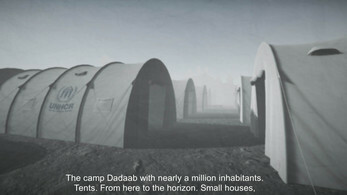 Players experience these real stories through a fictitious character: a mother, searching for her missing daughter who worked in this region for many years. Through her eyes we can interact with street children, politicians, doctors, NGO workers, restaurant owners, and refugees, who share their insights in interactive interviews. 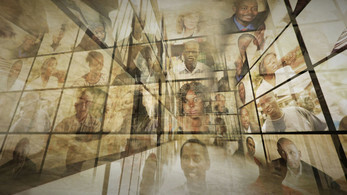 FROM DARKNESS is based on extensive research in Kenya and Uganda, conducted in close co-operation with African NGOs and many dozens of interviewees. With their help, the artists gathered over 60 hours of interview and video footage, producing an intense interactive documentary experience. The innovative, hauntingly beautiful, multi-layered visual concept mirrors the idea of uncovering various layers of information. 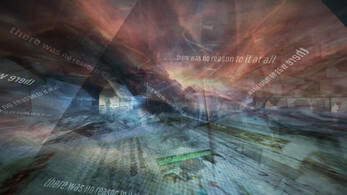 It is based on collage techniques, combining original video footage, pictures, and sound into a multi-dimensional environment. The subjects of this project are the ongoing "resource wars" in Eastern and Central Africa; the current circumstances of urban refugees; and stories of daily life from local communities and groups of refugees. For the latter a special light was put on the Banyamulenge, a Congolese people who have been brutally displaced and are coping with the challenges of exile. Interactive documentaries are a significant new medium within the genre of transmedia storytelling. FROM DARKNESS opens up new perspectives and creates a walkable piece of art. 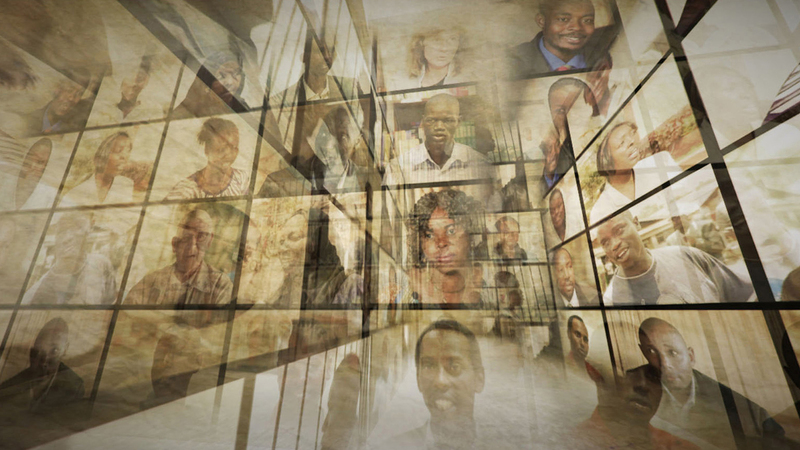 Viewers and players can explore and uncover layers of stories, memories, political contexts and dreams. 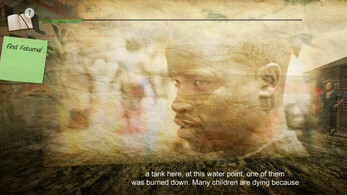 gold extra's concept of the interactive documentary was awarded the „Media Art Award" of the state of Salzburg in 2012. Concept, production, lead design: Reinhold Bidner, Tobias Hammerle, Georg Hobmeier, Sonja Prlic, Karl Zechenter. Programming and design: Andreas Leitner, Martin Porocnik, Victor Morales. Hi there. We just added Linux as direct download. Concerning MAC: Since we dont have an apple-signed dmg-file it would probably only show that the file cant open, because it is unsigned. The current indirect link (https://www.fromdarkness.net/download/mac.php) provides a workaround explanation. Since we are not able to attach that explanation here, I prefer keeping an indirect link (see above). Let us know if you have any more questions!